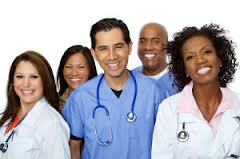 Applicants must hold a current, unencumbered New Mexico RN license or a multi-state RN license. Applicants must have completed a graduate level nursing program designed for the education and preparation of nurse practitioners as providers of primary, or acute, or chronic, or long-term, or end of life health care. An accredited institution of higher education or the armed services must be the source of the NP program completed. Documentation of education must include the date of graduation, credentials conferred and number of supervised clinical hours as a nurse practitioner in the education program. If applicants were initially licensed by any board of nursing (including the New Mexico Board of Nursing) and that licensure occurred after January 1, 2001, the program must be at the master’s in nursing level or higher. In the case of applicants who do not hold a master’s level or higher degree from a nurse practitioner program and were initially licensed by any board of nursing (including the New Mexico Board of Nursing) before January 1, 2001, they must provide verification of NP licensure. 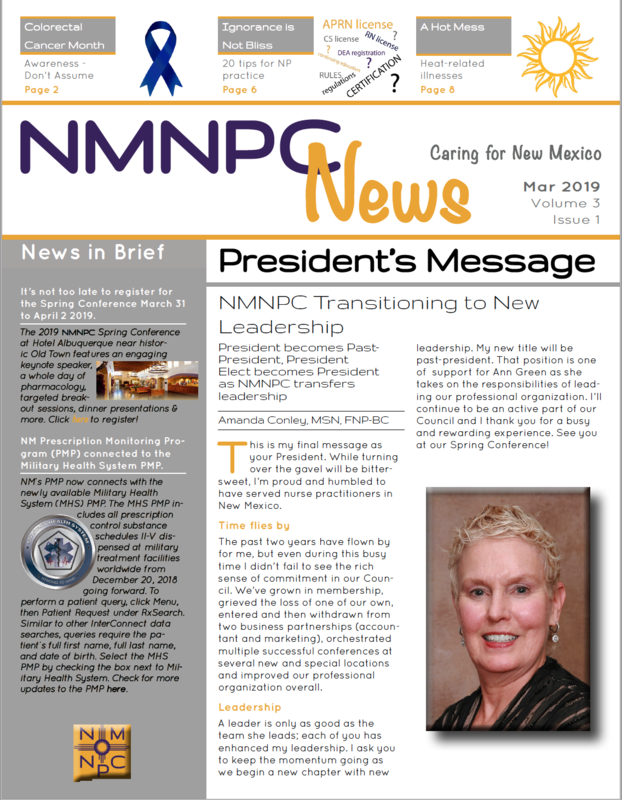 The New Mexico Board of Nursing requires all NPs to maintain a prescribing formulary of dangerous drugs and controlled substances they may prescribe. NPs should include only drugs relevant to the NP's specialty and practice setting in their respective formularies. NPs may choose to use the formulary provided by NMNPC as the basis for their individualized formularies. Once licensed as a nurse practitioner, NPs who wish to prescribe controlled substances must obtain a New Mexico Controlled Substance license. NP applicants can apply for a Controlled substance license at the New Mexico Board of Pharmacy website or call (505) 222-9830 for further information. NPs must register with the Board of Pharmacy's Prescription Monitoring Program (PMP) and be regular participants in PMP inquiry and reporting. The Board of Pharmacy will no longer renew controlled substance licenses of prescribers who are not registered with the PMP. For more information about the PMP requirements, click here. Once NPs obtain a New Mexico Controlled Substance License, they can then apply for the necessary federal DEA license. Visit the DEA website for online application or to download a PDF file for mail-in application. NPs must obtain five hours of non-cancer pain management CE each renewal period. For more information about this requirement, click here.